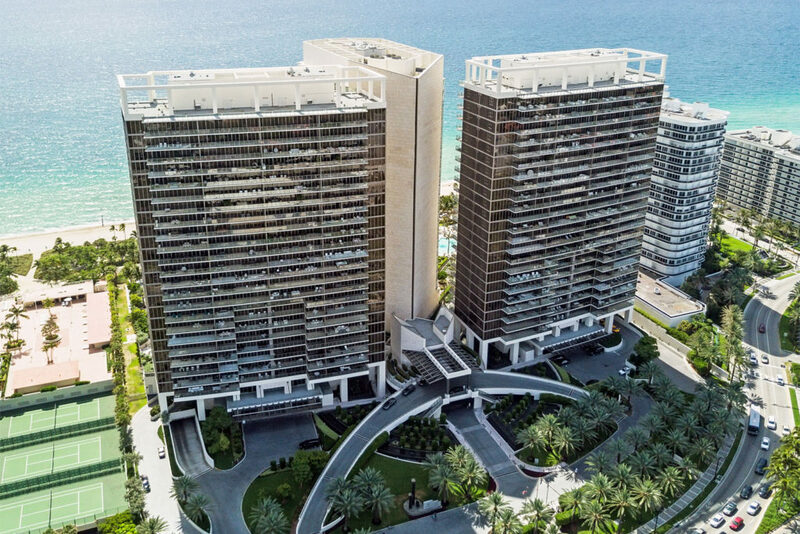 This elite residential 5-star complex ‘The St. Regis Bal Harbour Resort‘ on Miami Beach, USA, is the peak of exquisite style and a quality of life, embodied in an ultra-luxurious residential and social environment, with the widest range of luxury supportive services utilizing modern smart technologies. ‘The St. Regis Bal Harbour’ is located in USA, in the south-eastern part of a peninsula, in Miami-Dade County of Florida, the North part of the barrier islands of the fashionable Miami Beach resort in the municipality of Bal Harbor. For the development of this unique complex, a plot was chosen, located between Collins Avenue and Surfside Beach, on the Atlantic Ocean front. An expressive architectural ensemble of ‘The St. Regis Bal Harbour’ is formed by three towers of character 27-storey buildings. The residential part of this complex starts from the 4th floor onwards each of three towers. 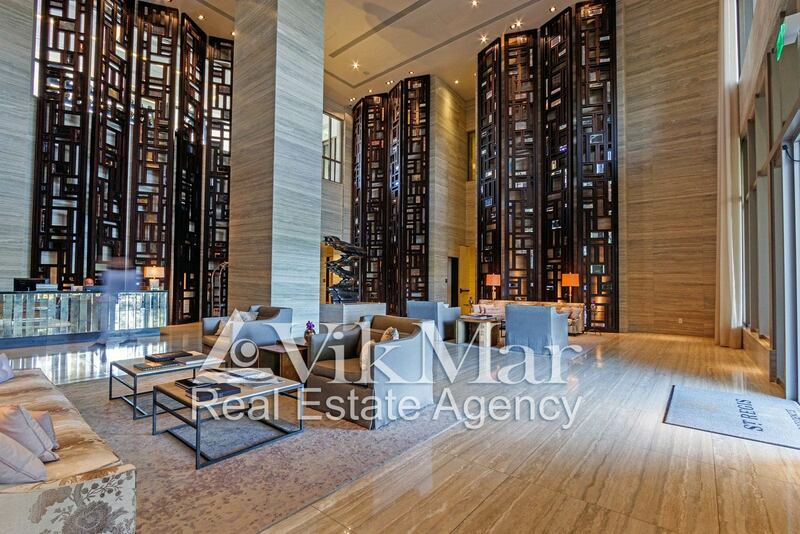 207 hotel rooms, as well as ‘Presidential Suite’, are located in the ‘Central Tower’. Private luxury ultra-comfort apartments are part of condominiums in the ‘North’ and ‘South Tower’. The communal facilities of ‘The St. Regis Bal Harbour’ include underground parking, spacious double-lighted halls, three dining areas with fine restaurants and bars, a fitness centre and spa, premises of business centre and children’s club, as well as recreation areas of a comfortable Beach club with loungers for an open-air solarium next to swimming pools with ocean views. The grand opening of ‘The St. Regis Bal Harbour’ was held in 2012. Two years later, in 2014, this elite residential complex was sold by Starwood Hotels & Resort Worldwide Inc. to a large Qatar ‘Al Faisal Holding Company LLC’ for $ 213 million. 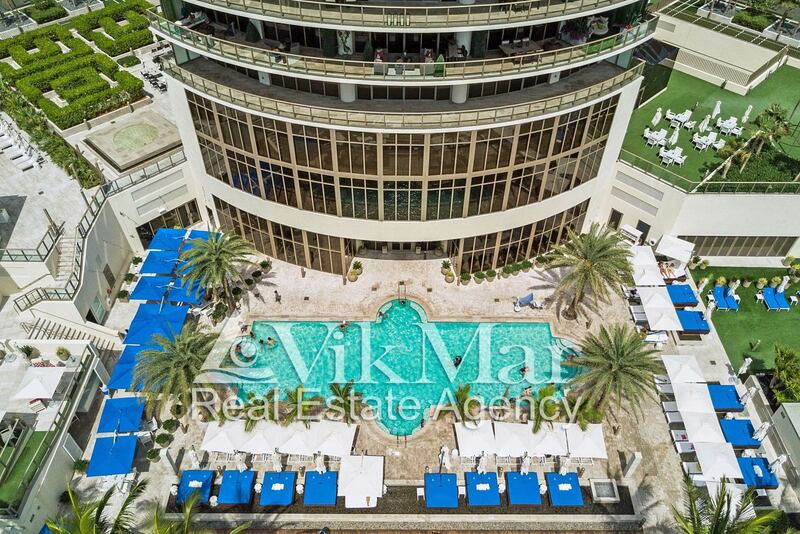 Currently, the previous owner, an American company Stanwood continues to serve as the property managers of this elite complex in Bal Harbour and the resort still operates bearing the name of the world-famous brand ‘St. Regis’. The architectural project of ‘The St. Regis Bal Harbour’ is created by the ‘Sieger Suarez Architectural Partnership’, Florida. Luxurious design of communal area’ interiors of this resort complex are implemented according to the ideas of Canadian architects and decoration-artists under the leadership of Yabu Pushelberg. This elite residential complex ‘The St. Regis Bal Harbour’ has got many prestigious awards for its outstanding achievements in the ‘industry of hospitality’, and deservedly takes the first lines in world ratings. So, its luxurious ultra-comfort apartments are very popular among property investors, coming to the USA from all around the world.